The Bittersweet Cross-Country Trails near Rossendale, Manitoba have been a labour of love for two families: the Woodwards and the McMasters. 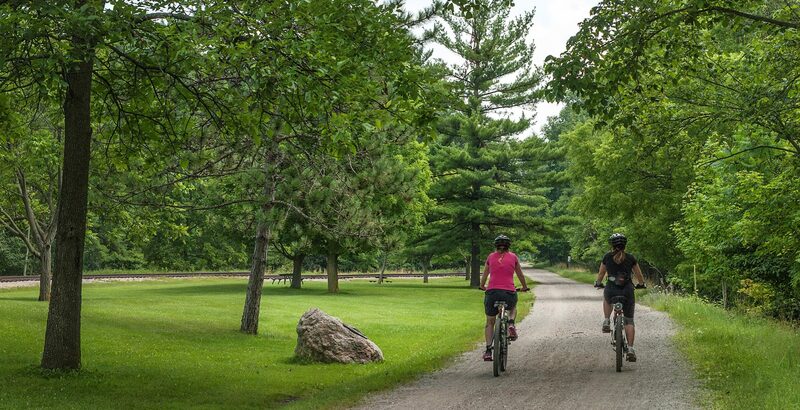 Situated in the Assiniboine River valley, about 50 km SW of Portage la Prairie on Highway 242 between Highways 1 and 2, these trails were originally the inspiration of Margaret and Hartley Woodward. The couple planned and developed ski trails over many years, beginning in the early 1970s, with the trailhead beginning at the Woodward farmyard. Hartley brought in an old cabin and fixed it up to serve as a ski hut. He worked on grooming and maintaining the trails for more than 40 years, officially “retiring” in 2015, although he continues to help out when needed. Now past 90, he still skis regularly, and is an inspiration to younger skiers. In 1996 a second couple became involved in the Bittersweet project. Don and Ardythe McMaster, retired teachers from Winnipeg, bought nearby land and built their dream home there, and soon began helping Hartley further the ski trails. Two other neighbours agreed to let their land be used, and some Crown land was also added in to extend the trails. The western section of Bittersweet — the hilliest part — crosses the McMasters’ land and they have worked hard to extend the trails into this area. In the off-season, with the help of family and other volunteers, they work at improving the trails — clearing debris, cutting new trail sections, removing stumps, and building a necessary bridge. In the 2007-08 season, skate trails were added. There are now about 12 km of skate trails, as well as 21 km of classic trails. Several years ago the McMasters bought a small old house, turned it into the Bittersweet Nordic Centre, and created a second entrance to the trails — the Oak Meadows Trailhead. Since then, they have dedicated most weekend afternoons to having the centre open, with water, coffee and cookies on hand to greet skiers. A new Terrain Park has also been developed near the centre and used by “jackrabbit” skiers. Another McMaster project is the annual non-competitive loppet, (a long-distance cross-country ski event) held for the last several years on the Sunday of the Louis Riel long weekend. This year’s loppet is planned for February 19, and all skiers are invited to take part. The Bittersweet Trails always involve a lot of volunteer work, but 2016 was exceptional. In July a massive windstorm tore through the area and over 400 trees fell across the trails. With many volunteer hours the trails were cleaned up by the end of summer. 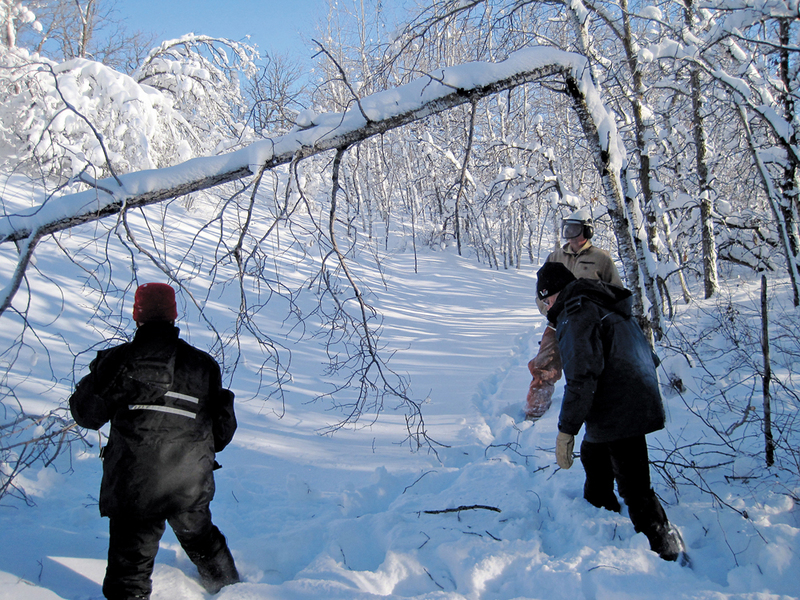 Then in early December, heavy, wet snow coupled with more wind brought down many more trees. The chainsaw crew of volunteers went to work once again to clear the area. Windstorms in later December and heavy Christmas snowfalls created additional work. Volunteers persisted and recent reports say that the skiing is wonderful, and the scenery — with the excess snow piled on the blown-over trees — is definitely worth a visit. 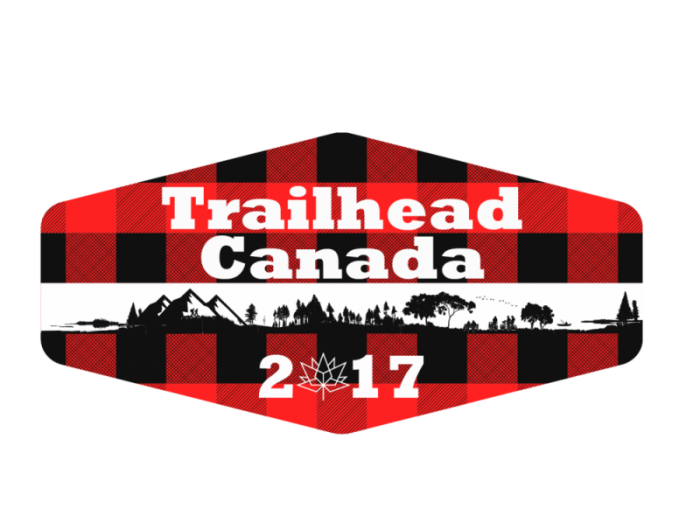 For more information about the trails, see the Cross-Country Ski Association website.